The Eurovision Song Contest was here again. And we didn’t win again! My friend Ewan always throws a party for the event and this year’s ‘do’ was a select gathering of us boom bang-a-banging, skirt ripping Europop fans. Personally I don’t know what the BBC have been thinking the past few years. Firstly we no longer get a chance to vote for the act we, the British public, would like to represent us. This year we had Bonnie Tyler foisted upon us. Don’t get me wrong, I love Bonnie and her ‘Total Eclipse’ is a favourite of mine. But for the past two years we have had pensioners representing us (Englebert last year). It’s almost as if the BBC don’t want the extra expense of hosting the event, alongside part funding it. Anyhoo, I digress! Every year for the party I make a flag cake with the host nation’s flag atop. Last year was Azerbaijan, have a look and see my effort. This year was Sweden, which was a tad easier thanks to foam bananas and blueberries. I usually make a yellow cake with cream cheese frosting. But I decided to change things up a bit this year and make a Blue(ish) Velvet Cake with a slightly different cream cheese frosting, which incorporates whipping cream. 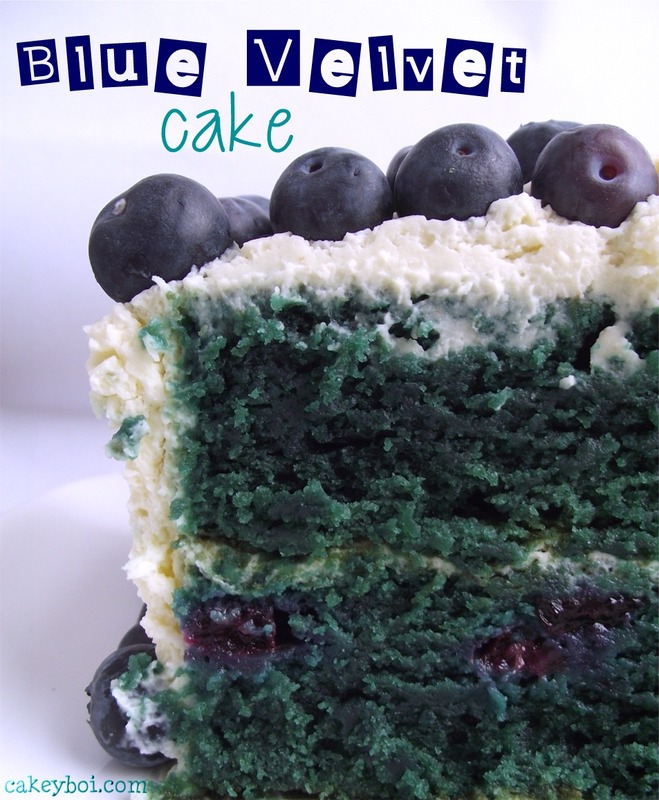 Blue Velvet cake is like Red Velvet, only it’s dyed blue and I’ve put a few blueberries through mine. 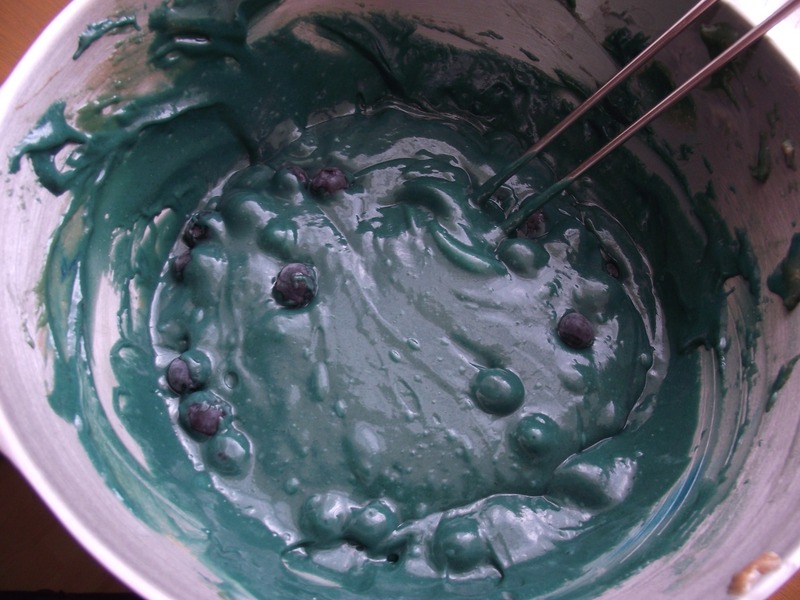 The cake also has cocoa in it, so the colour isn’t a bright blue, more an aqua blue! Grease and line a 9”x13” cake pan. Preheat the oven to 180oC. In a bowl, sieve together the flour, cocoa and bicarb. In the bowl of a mixer, beat together the oil, sugar, vanilla, eggs and vinegar until smooth and creamy. Add one third of the flour, incorporate and then add half the buttermilk, mixing that in. Repeat with another third of the flour, last half of buttermilk, then last bit of the flour. Lastly add blue food colouring to get a shade of blue you are happy with. 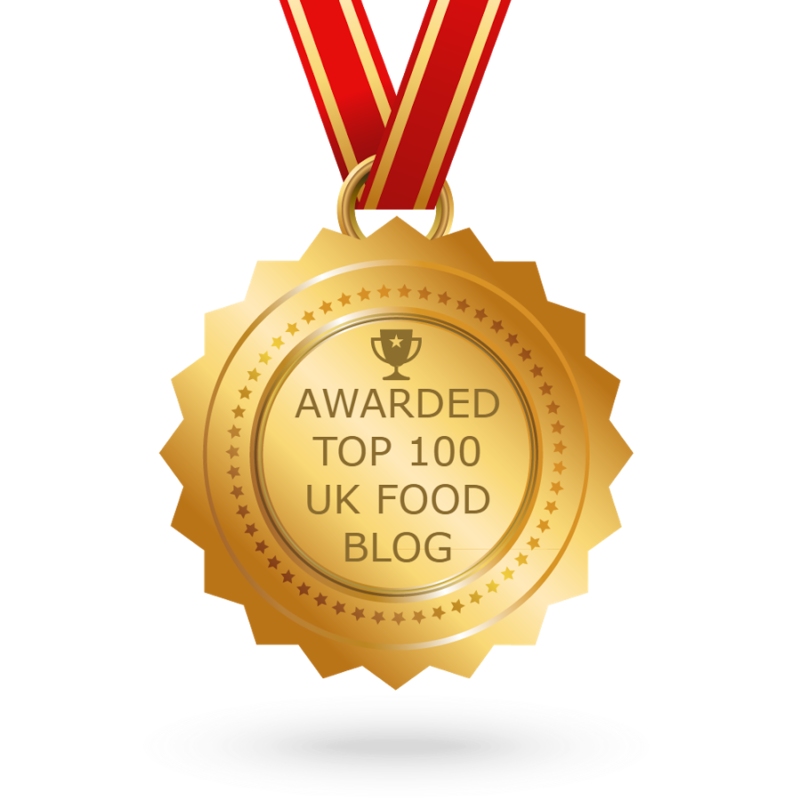 I highly recommend paste or gel food colouring rather than liquid as a little goes a long way. Lastly, add the blueberries and mix through by hand. Pour the batter into the prepared baking tin. Bake for 20 to 25 minutes. Check with a toothpick and when it comes out clean from the centre then it’s ready. Allow to cool in the pan before removing and placing on a cooling rack. 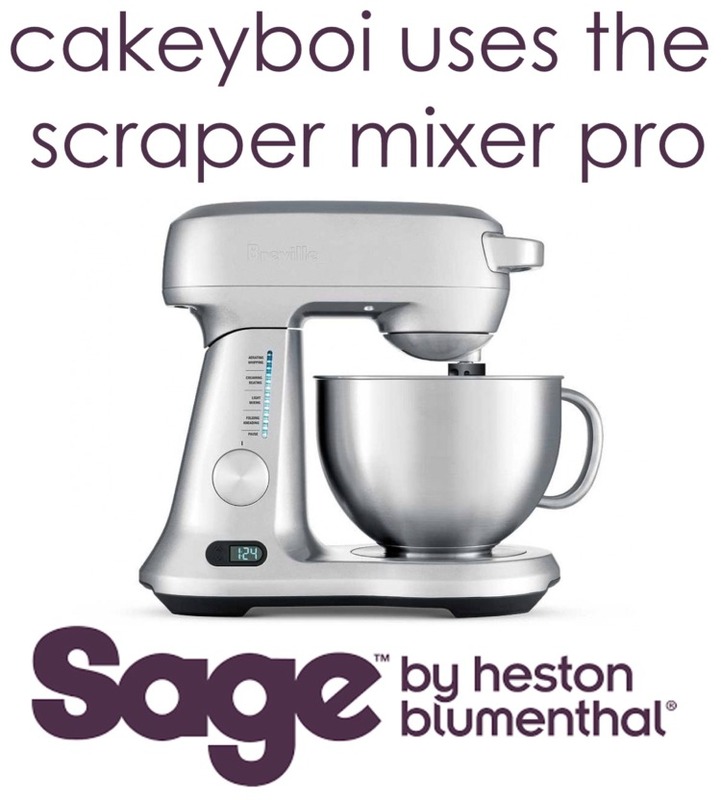 When ready to frost, add the cream cheese, sugar and vanilla to the bowl of a mixer and mix with the whisk attachment until smooth. With the machine turned on, add the cream slowly until the frosting becomes thicker and gets to a spreadable consistency. To make my Swedish flag cake, I cut the cake in half, then frosted the bottom layer, before adding the top layer of the cake and frosting a thin layer all over. Place in the fridge to set. When firm, remove from the fridge and frost with all of the remaining cream mix. To decorate I used more blueberries and cut foam bananas. You could use pineapple for this to if you wanted. 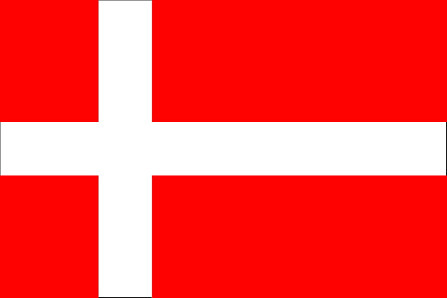 Next years cake - the Danish flag should be a doddle!! This cake looks great. 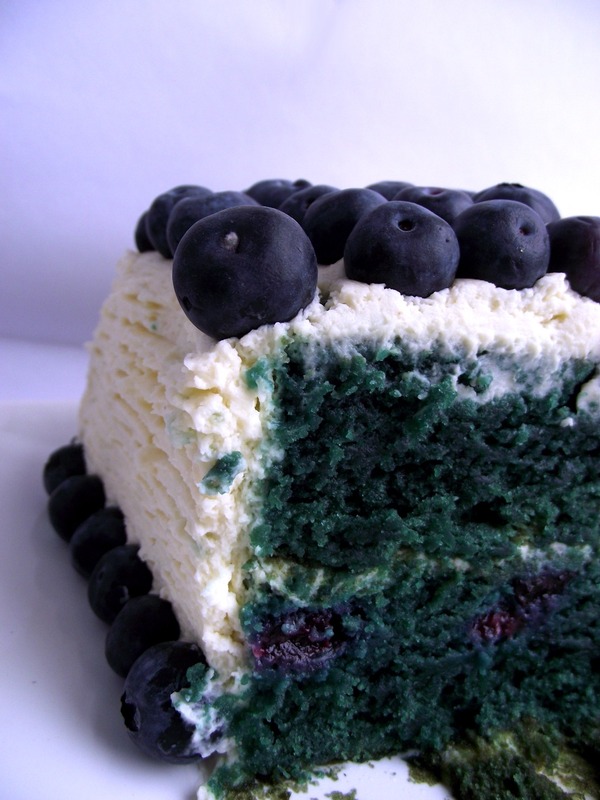 The blueberries must go really well with the cream cheese frosting - you've made me rethink my weekend bake! Thanks Janine - I am flattered my cake has made you rethink!! I'd say green velvet cake, but I still want some. The act I liked won. Wish I'd bet on it! I liked the song that won - and I won the sweepie at Ewan's party - yay!! Yes, the cake does have a somewhat green hue sadly - without the cocoa it might nave been better. I love this! You are always so inventive. 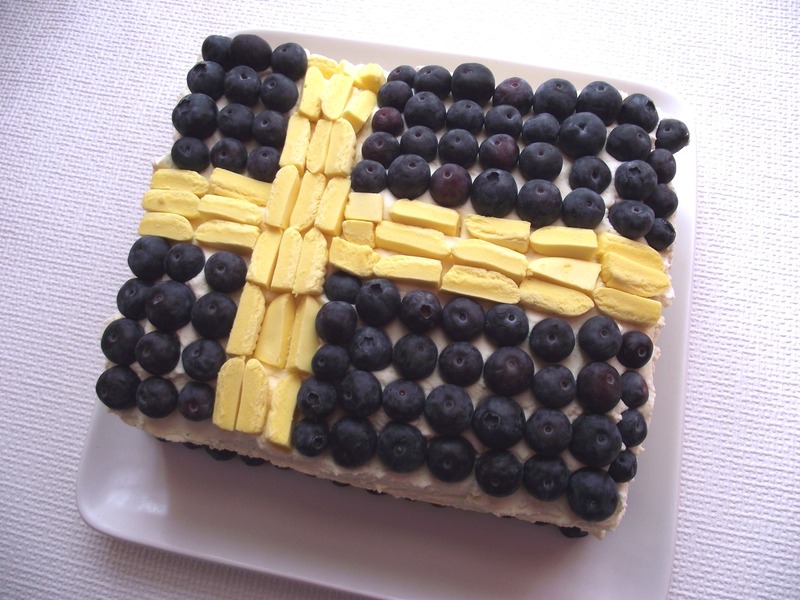 I looked at your previous Eurovision cakes too, I'm very impressed that you do one every year. Ooooh looks so yummy - very moist looking! I love anything blue too!